New product Development Course. - FUTURE-PROOFInc. Home → Archive → New product Development Course. Developing new products, services or processes is very important to survive in this world of severe competition and rapidly changing customer needs. But the new product development process is filled with booby traps, delays and other challenges. Improving the new product development process leads to decreasing times to market and substantially contributes to the financial success of new products and services. But what tools and concepts can you use? And what is the best way to organize the new product development process? The New Product Development Course presents a methodology that is world standard in product development, innovation and new business development. 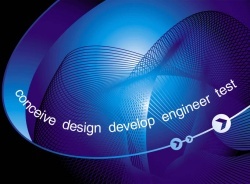 The New Product Development Course is presented in three 2-day modules. All three modules start at 9:00 PM and will finish at 5:00 PM on the second day. At the first day of each module, there will be an evening program untill 8.30 PM. A new cycle of this course will start Tuesday November 4th, 2014. Note: STEM maintains the right to change the dates and/or the location.